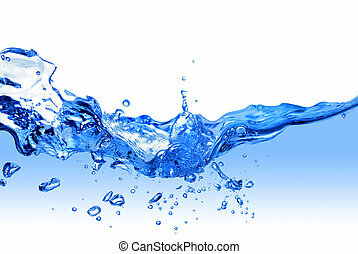 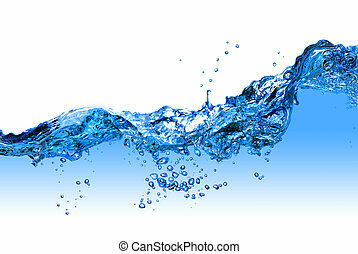 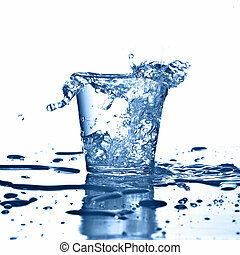 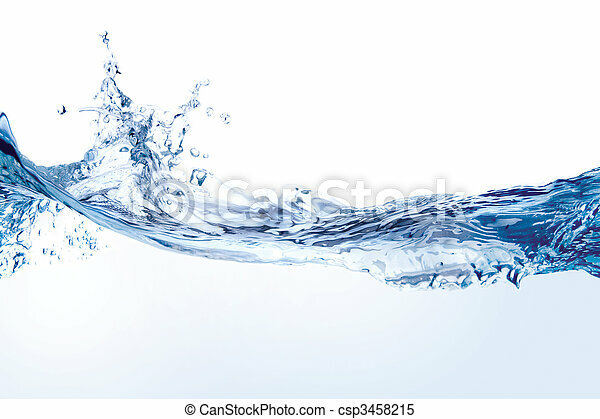 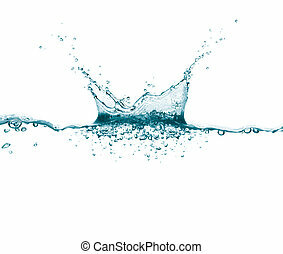 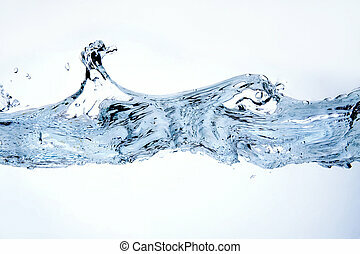 Water splash isolated on white. 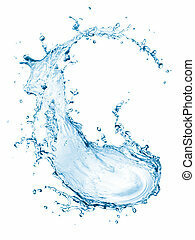 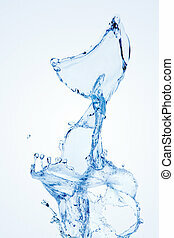 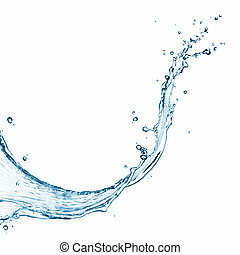 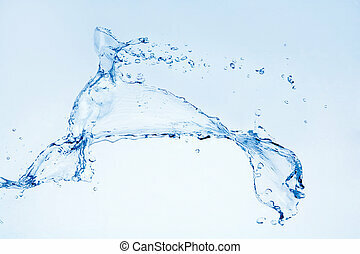 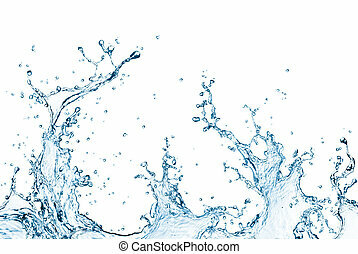 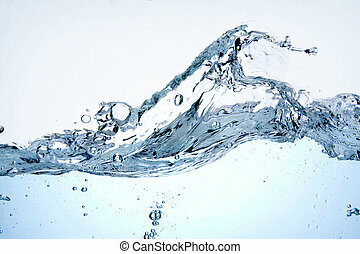 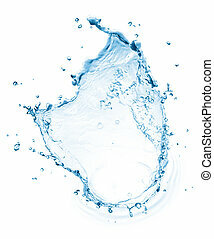 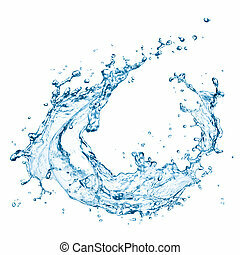 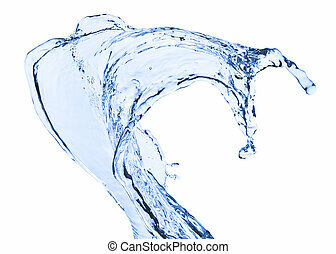 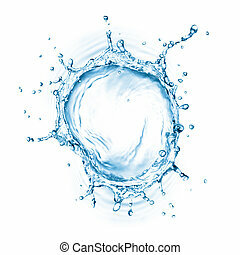 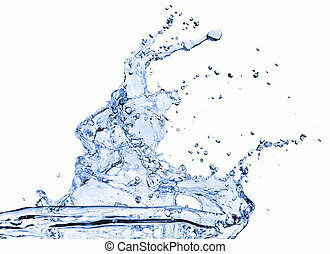 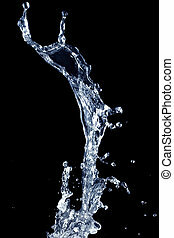 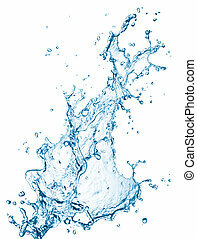 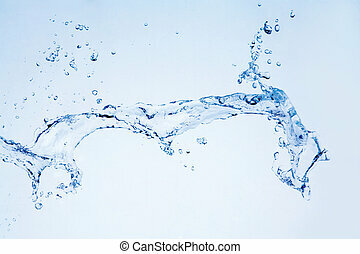 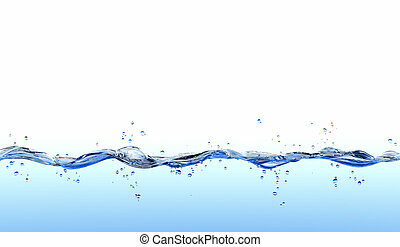 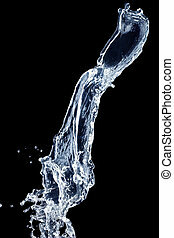 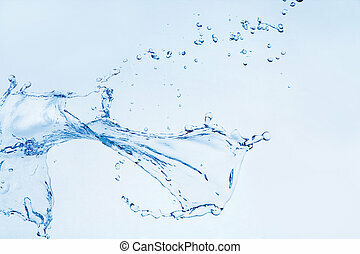 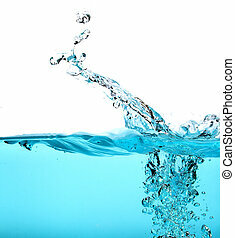 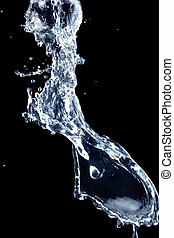 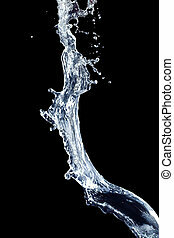 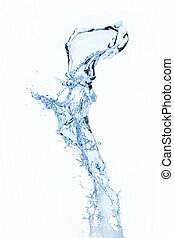 Close up of splash of water forming flower shape, isolated on white background. 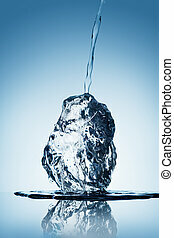 Water pouring on block of ice reflecting on blue background. 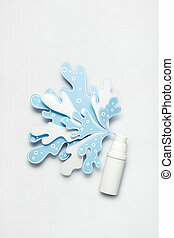 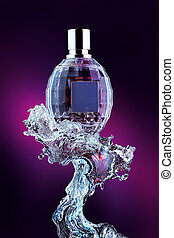 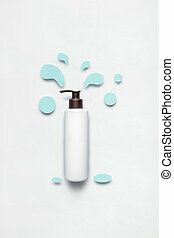 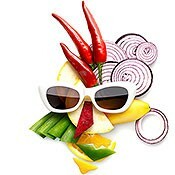 Creative concept photo of cosmetic bottle with splashing liquids made of paper on white background.